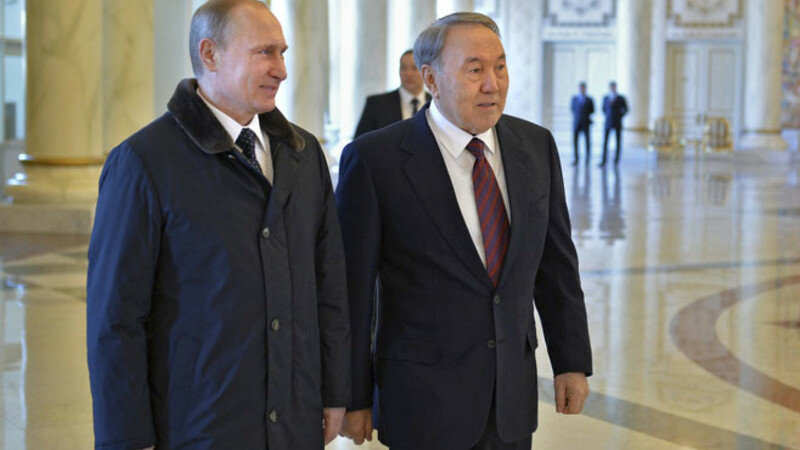 Kazakh President Nursultan Nazarbayev meets with Vladimir Putin in Astana, Mar. 20. The Kremlin on Monday denied that Russia is caught up in a trade war with Kazakhstan, even as import restrictions between the two post-Soviet neighbors continued to mount. 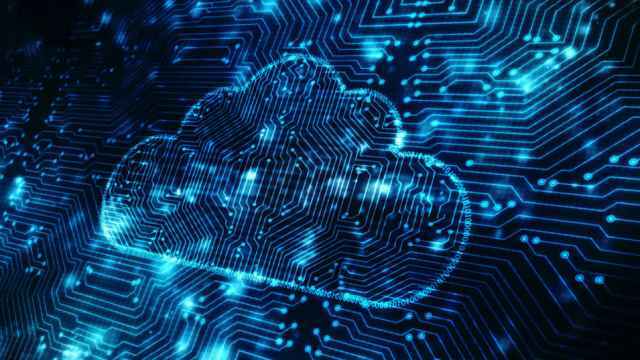 "I think that it's quite a big exaggeration, but I don't have information about what exactly is going on," the Interfax news agency quoted President Vladimir Putin's spokesman Dmitry Peskov as saying. 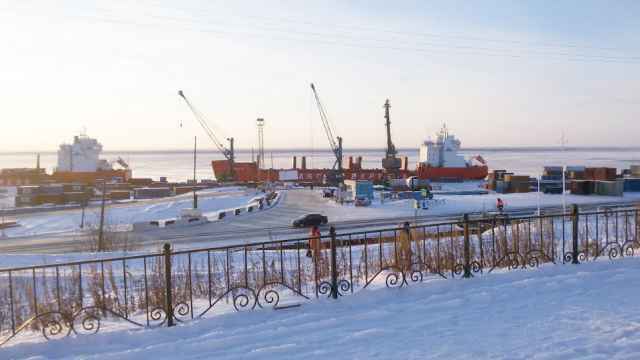 The daily newspaper Kommersant on Monday published an article saying that a "trade war" has taken off between the two countries as Russian imports, made cheaper by the drastic devaluation of the Russian ruble, threatened sales of domestic products. While unofficial trade wars are not uncommon in Russia's relations with former Soviet states, they typically arise amid tense political relations. Ukraine, for instance, has been caught up in an unofficial trade war with Russia since late 2013, with Moscow banning many Ukrainian food imports for alleged health violations. 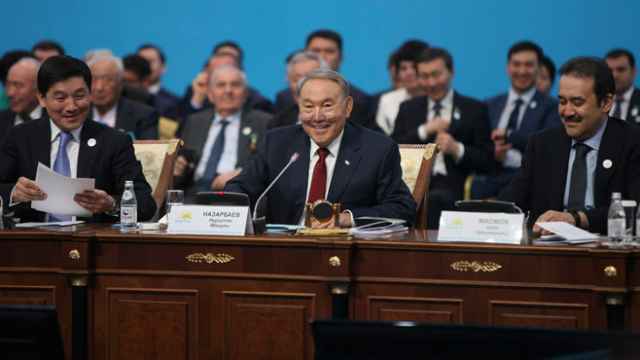 Kazakhstan, on the other hand, is one of Russia's closest allies, a central member of both its Customs Union and Eurasian Economic Union, a pet project of Putin's meant to counterbalance the European Union. 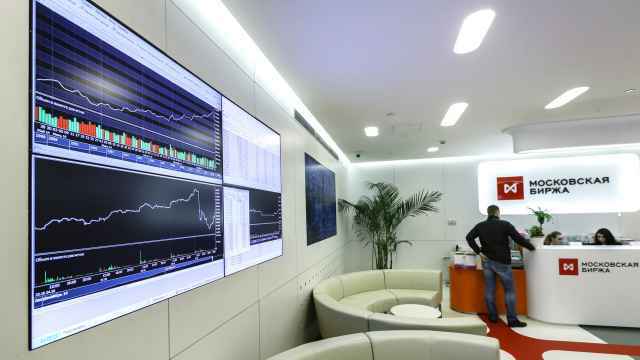 Last year's steep devaluation of the ruble currency complicated matters, however, as Russian products have suddenly gained a competitive edge in Kazakhstan and other post-Soviet countries. Kommersant reported as early as February that Kazakhstan was discussing imposing restrictions on Russian imports of oil, cars, metal and more in an effort to support domestic producers. The discussions soon found their way into policy with a 45-day embargo on Russian oil products that went into force on March 5. In a letter to the National Chamber of Entrepreneurs, Kazakh Deputy Energy Minister Magzum Mirzagaliyev said that the ban was a response to a "surplus of Russian oil products," Kommersant reported. In late March Kazakhstan also pulled several Russian meat, chocolate, cheese and dairy products from stores over alleged health code violations. The move found a similar response on the Russian side, with Russia's Federal Consumer Protection Service saying in a statement Friday that it had found health code violations in Kazakh melon and dairy products in various Russian regions. The Russian agency also warned that dried fruit from the United States, which was banned from Russia under the restrictions on Western food imports imposed last year, had found its way into Russia via Kazakhstan.